There is never a fee for any service provided by End of Life Washington. We envision a world where people understand their end-of-life choices and can die on their own terms, without barriers. End of Life Washington upholds your right to the full range of end of life choices, including Death with Dignity, through advocacy, education, and support. Excellent Client Care, Integrity, Professionalism, Compassion, and Stewardship. Since 1988, this organization has elevated the standards for end-of-life care in Washington and played a crucial role in reforming medical practice for the terminally ill. Our approach of providing direct service, advance planning resources, professional partnerships, community education and advocacy has helped transform patient-centered care. We believe that a peaceful death should be within reach of everyone and that no one should face intolerable suffering at the end of life. Since 1993, our organization’s Volunteer Client Advisers (VCAs) have counseled patients and families seeking excellent end-of-life care and effective symptom management, while upholding their right to explore end-of-life options. End of Life Washington is recognized nationally for its advocacy of choice for the terminally ill and its commitment to improved treatment of pain and other symptoms. 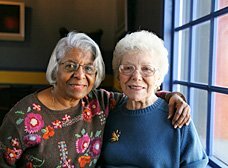 End of Life Washington’s service includes ongoing relationships we develop between our Volunteer Client Advisers and clients who want to explore end-of-life choices. Each year we provide information and consultation to hundreds of patients and families. Two of our primary concerns are that no one dies in pain and no one dies alone. We have a well-documented record of working with the health care community for changes in medical care for the terminally ill. We advocate for better pain management, patient-directed end-of-life care, and expanded choice for the terminally ill. We do not suggest, encourage, or promote suicide or euthanasia.